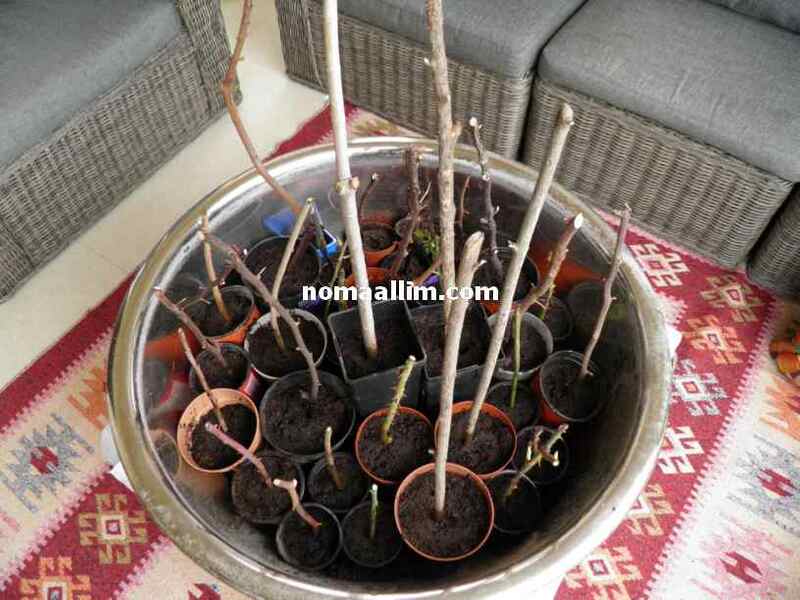 You can take advantage of the plant pruning season by the beginning of spring or a bit ahead of it depending on your climate to reuse some of the cuttings and root them to propagate your preferred plants. That's what I do myself almost every year. 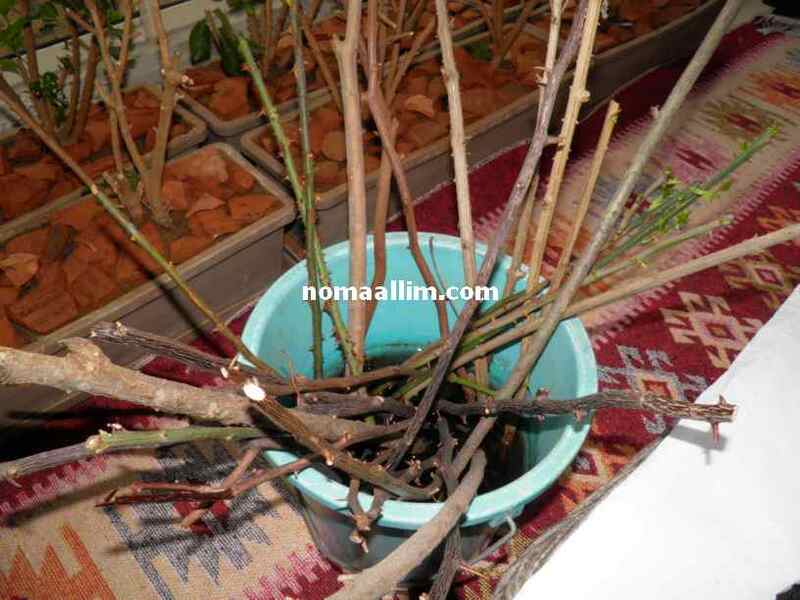 Start by placing the cuttings of your choice immediately after cutting them in a bucket filled with water up to 1/4 o the cuttings lengths. 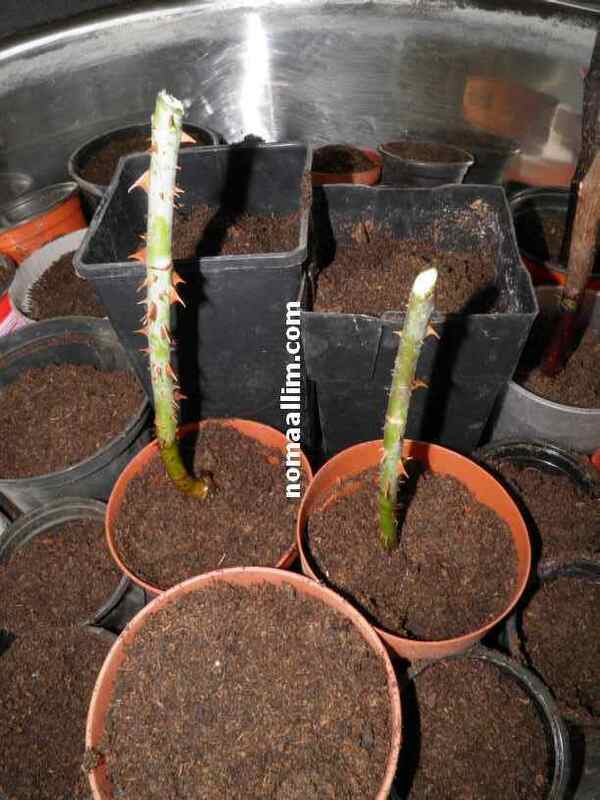 Make sure to cut all your cuttings to similar lengths as shown in the right picture. You need to leave them in water for a couple of weeks. For better results, buy and add hormones to the water. There are specific hormones that favor the roots development. Or, add soluble vitamins although you will have a higher success rate with the hormones. 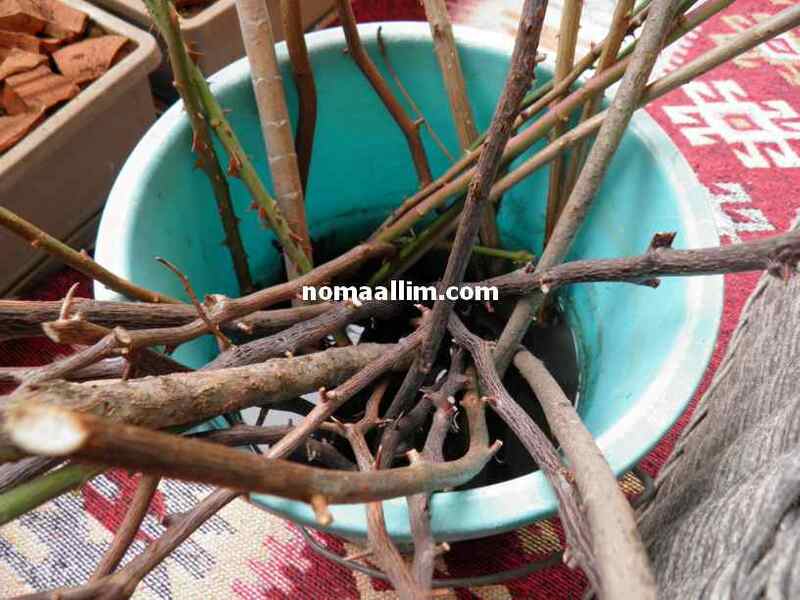 You can always decide to push your cuttings straight forward into a selected place of your garden and thoroughly irrigate them daily to let them develop roots but this could not work on all types of plants and could lead to a relatively low success rate. 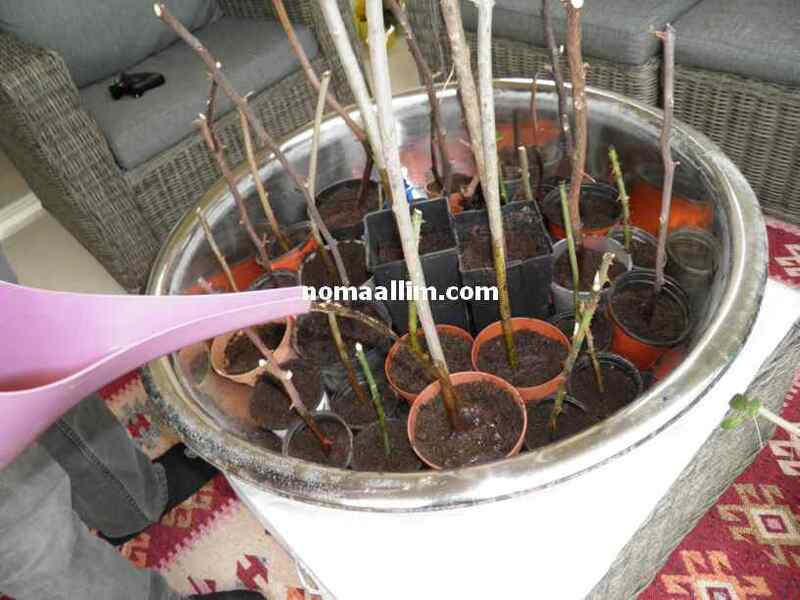 The best is to let the cuttings develop roots in a pot indoors, then move the plant to the garden or a larger pot after making sure it has developed roots so it can be irrigated at intervals like any other plant in your garden. 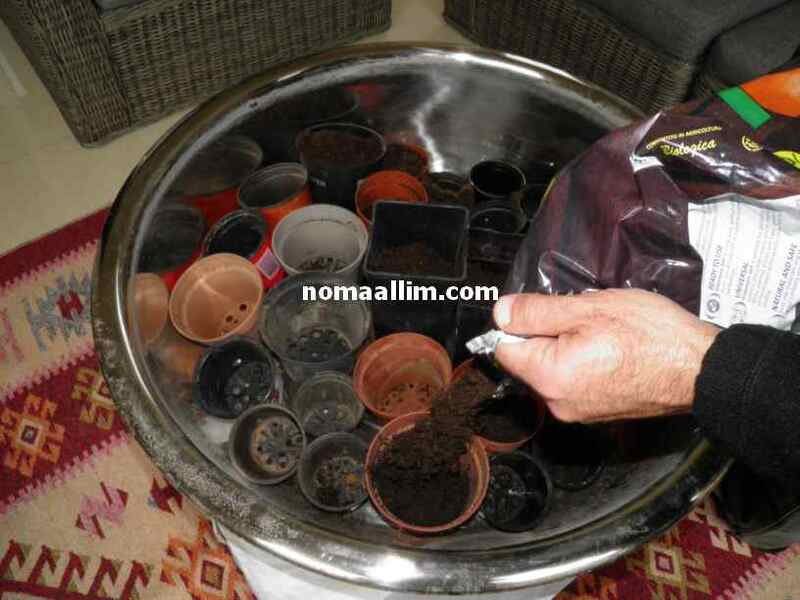 Place the pots side by side inside the bowl and fill them with loam as shown in the middle and right pictures. 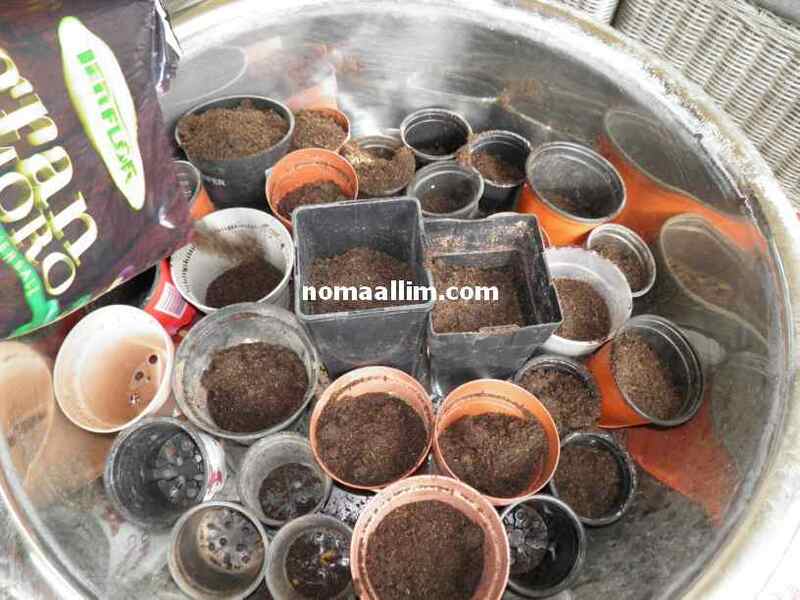 Compact the loam inside the pots with you hand and add more loam. Chose the cutting that is most adequate to the pot size and push it inside the pot as shown in the right picture and while still wet. 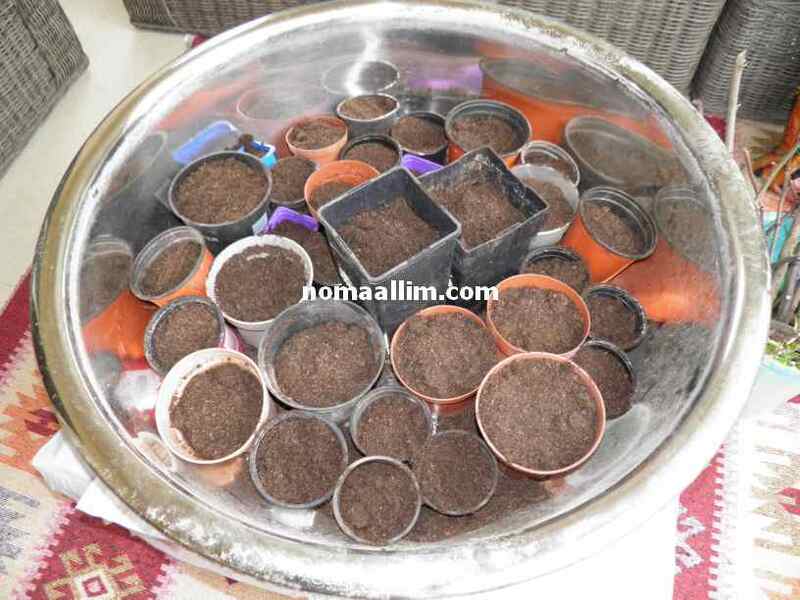 With your fingers, apply a pressure on the loam in order to have the cutting pointing vertically. Cut one third at least of the cutting by choosing a nice bud and cutting one cm on top of it. 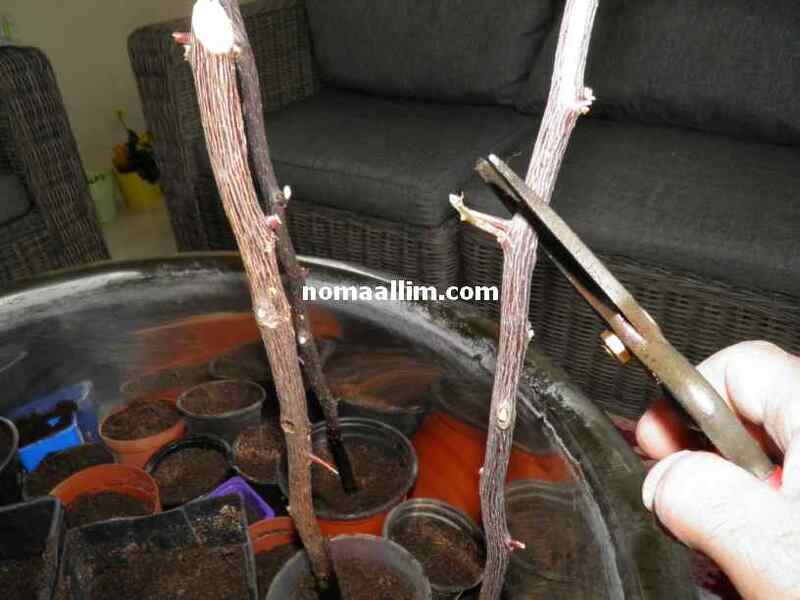 Do not hesitate to shorten the cutting, this helps it develop roots easier. 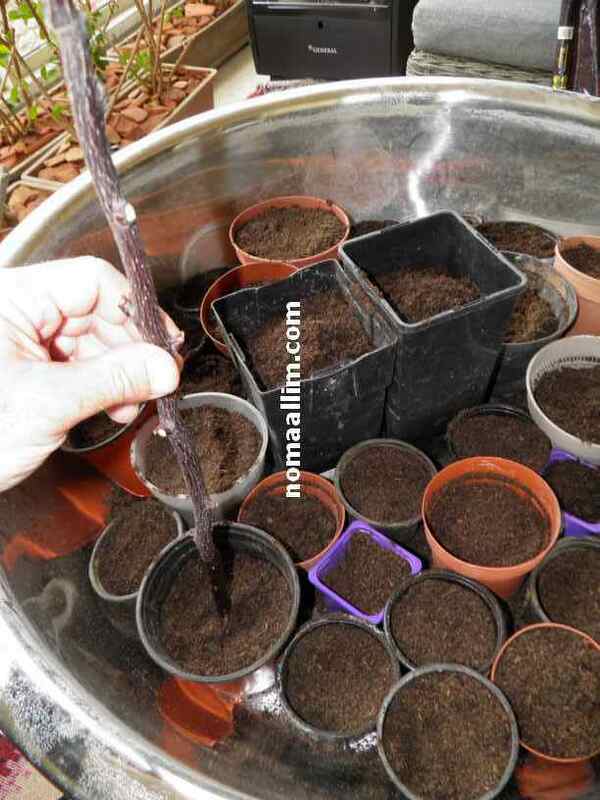 Once you finish, water all your cuttings in excess until the loam is like mud. Keep them indoor in a place that receives a lot of sunlight and make sure to keep them excessively wet at all time. 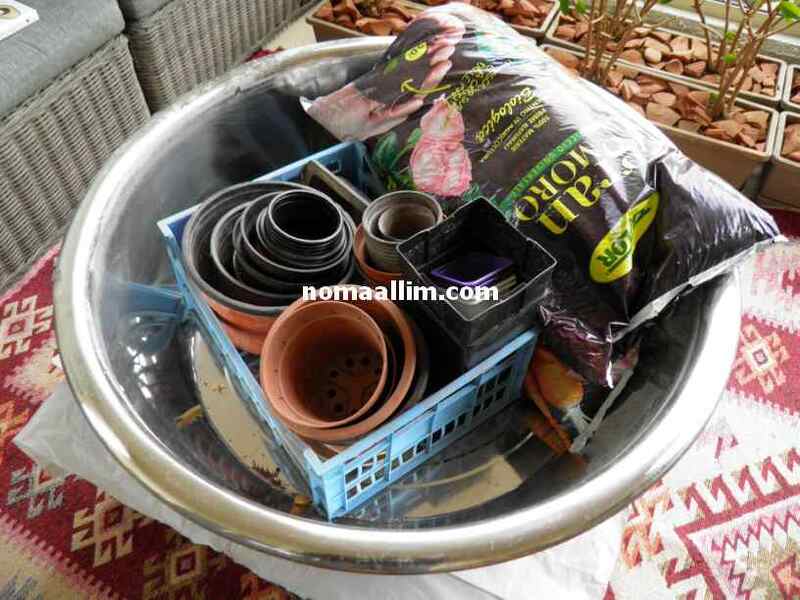 You should not water them like a plant, but use excess water and do so every other day or as needed. 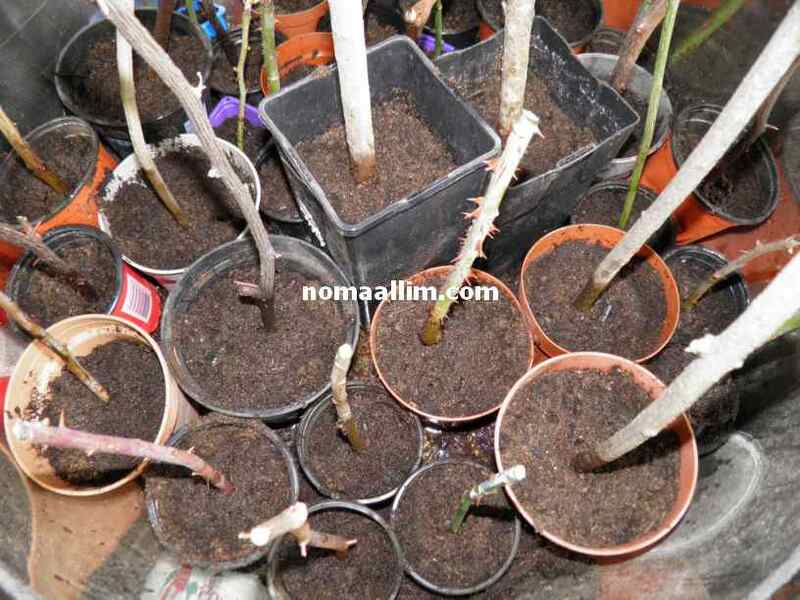 After another couple of weeks, the cuttings that have seen buds showing or growing into shoots can now be moved to your garden or a larger pot. 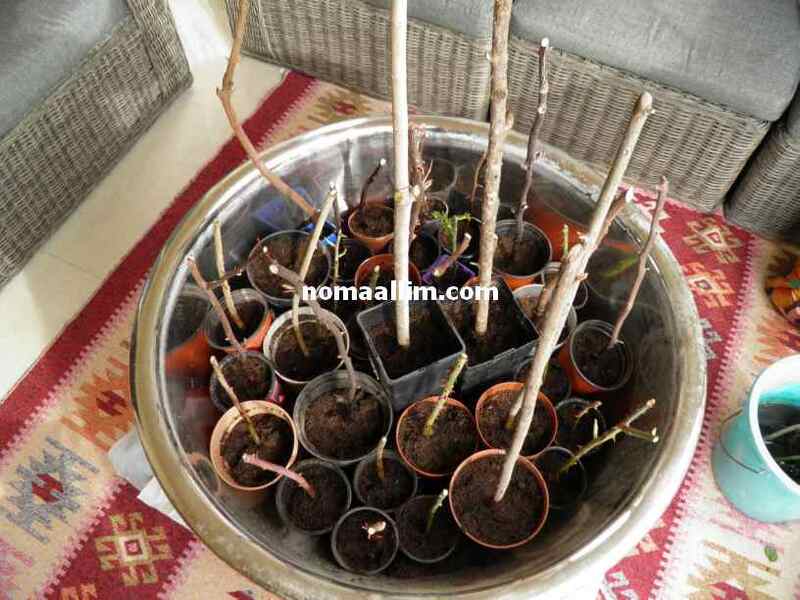 They are now ready to be watered at a normal frequency of twice-weekly or weekly as you do for the other plants.